It’s probably not a huge shock, but Simon Kinberg and Bryan Singer’s audio commentary on X-Men: Apocalypse seems to confirm that Mister Sinister will be the villain in the third Wolverine movie. 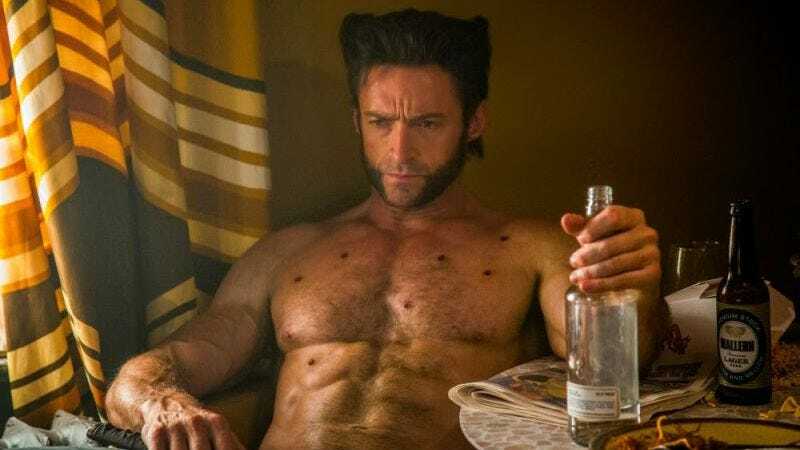 X-Men: Apocalypse’s post-credits sequence was pretty obviously about Wolverine, since it showed a man packing up a vial labeled “Weapon X” into a suitcase with “Essex Corp” stamped on it. And since Mister Sinister’s other name is Nathaniel Essex, it was pretty clear that the villain would be showing up in one of the upcoming movies. In the audio commentary, Kinberg and Singer say (via Cinema Blend) that the teaser is for Wolverine 3 and not any other X-Men movie. It’s nice to get this confirmation, especially since all we’ve wanted since we heard Richard E. Grant had been cast in the movie as a “mad scientist-type” was for him to be playing Mister Sinister. Mister Sinister doesn’t have a huge role in Old Man Logan, which is supposedly what the third Wolverine movie is based on. His appearance could very well be much more removed than as the big bad Logan fights head on. Or a set-up for another movie plan. However, there may be clues to what he’s doing in the movie from his role in other, Old Man Logan-related comics. He shows up in the Old Man Logan-Secret Wars miniseries for the X-Men to fight, attacking them with Abyss and Sabertooth. He also pops up in the post-Secret Wars Extraordinary X-Men run, where Mister Sinister kidnaps some X-Men. Old Man Logan tracks him down for the X-Men in that one. All of this, down to Grant being the one to play him, is obviously speculation. But the description of Grant’s character as a mad scientist type, the confirmation that the end-credits scene was Wolverine 3-related, and the information that the movie is based on Old Man Logan make it plausible. WTF Was X-Men: Apocalypse&apos;s End Credits Scene All About?